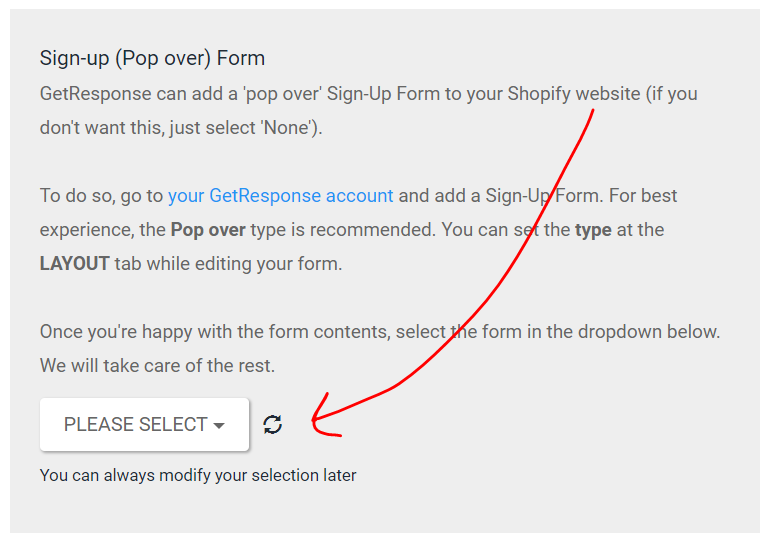 In order to connect your GetResponse account to your Shopify store you need to create a GetResponse account first (create account here). Already using GetResponse? Great! Continue step 2. No Shopify account yet? You can easily create an account here. 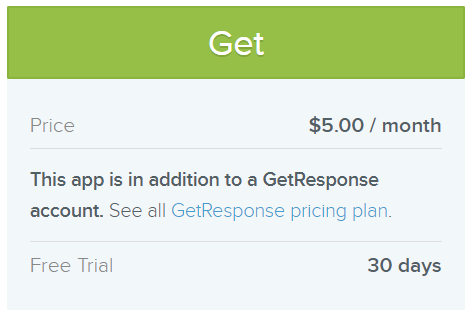 Visit the GetResponse app in the Shopify app store here and click on the green GET button. Your now forwarded to the install page. Click the blue button 'INSTALL APP'. Click the orange button to connect your GetResponse account. 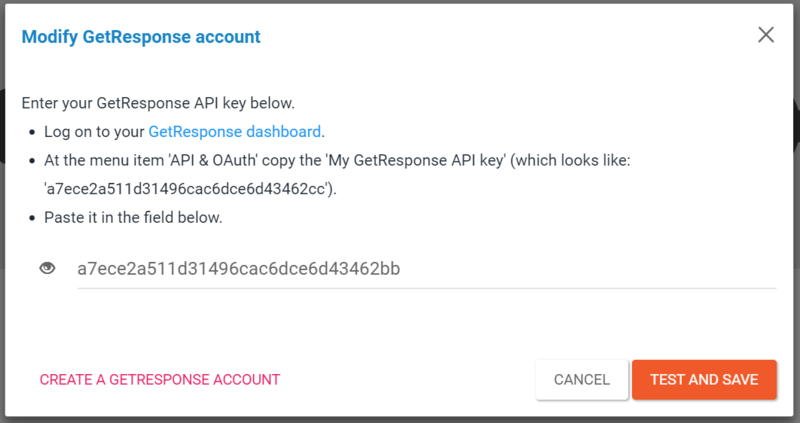 Enter your GetResponse API key below. Log on to your GetResponse dashboard. At the menu item 'API & OAuth' copy the 'My GetResponse API key' (which looks like: 'a7ece2a511d31496cac6dce6d43462cc'). Paste it in the field below. You may already have customers and subscribers and want to export them to GetResponse. Use this step to export existing data. 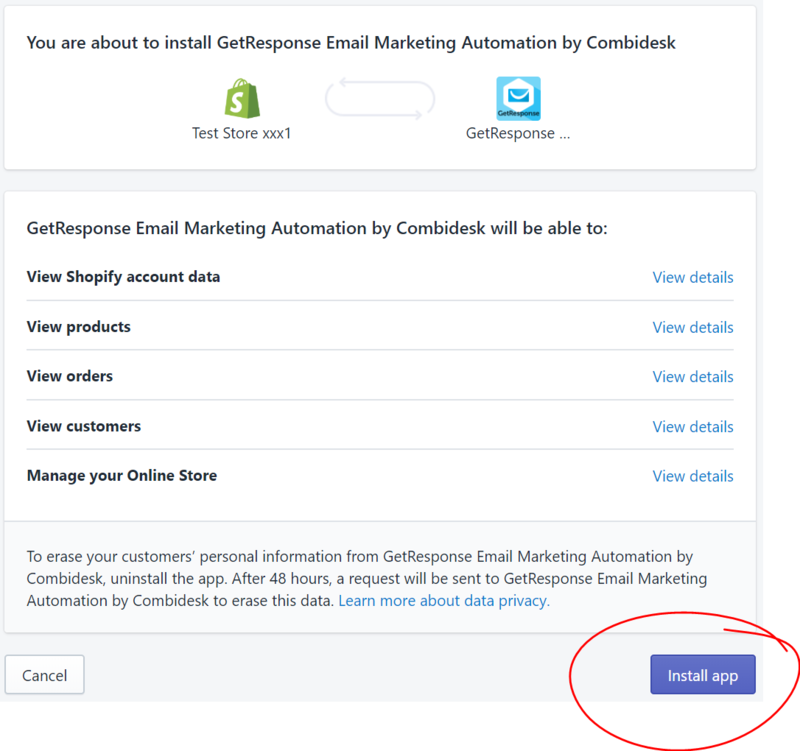 CAUTION: existing contacts in GetResponse are going to be unsubscribed when they don't have the 'accept marketing' checkbox in Shopify. So make sure they are saved in a different GetResponse list first! 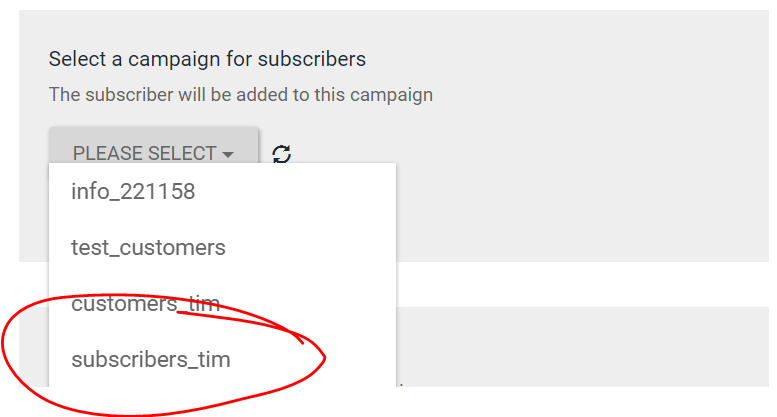 Make sure you've created a subscribers list in GetResponse. Go to https://app.getresponse.com/lists to create one. Select a list in the dropdown menu as seen below. Is your list \not visible, click the refresh button to update the lists. Make sure you've created a customers list in GetResponse. Customers are Shopify constact who have purchased at least one item or more. Go to https://app.getresponse.com/lists to create a list. Select this list in the dropdown menu as seen below. Is your list \not visible, click the refresh button to update the lists. e) Use a sign-up (pop-over) form? 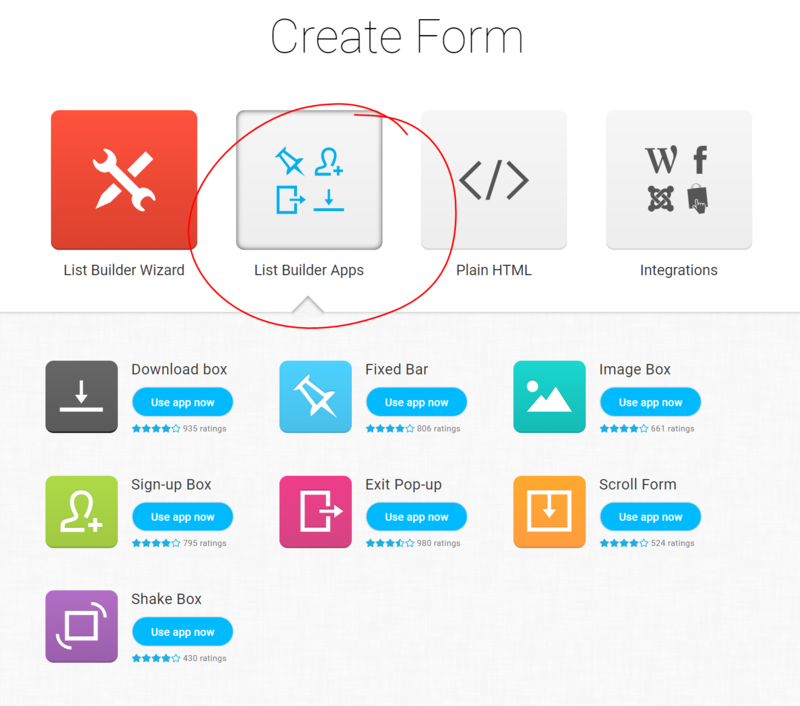 Select List Builder Apps and select a type of form you would like to use (ex. 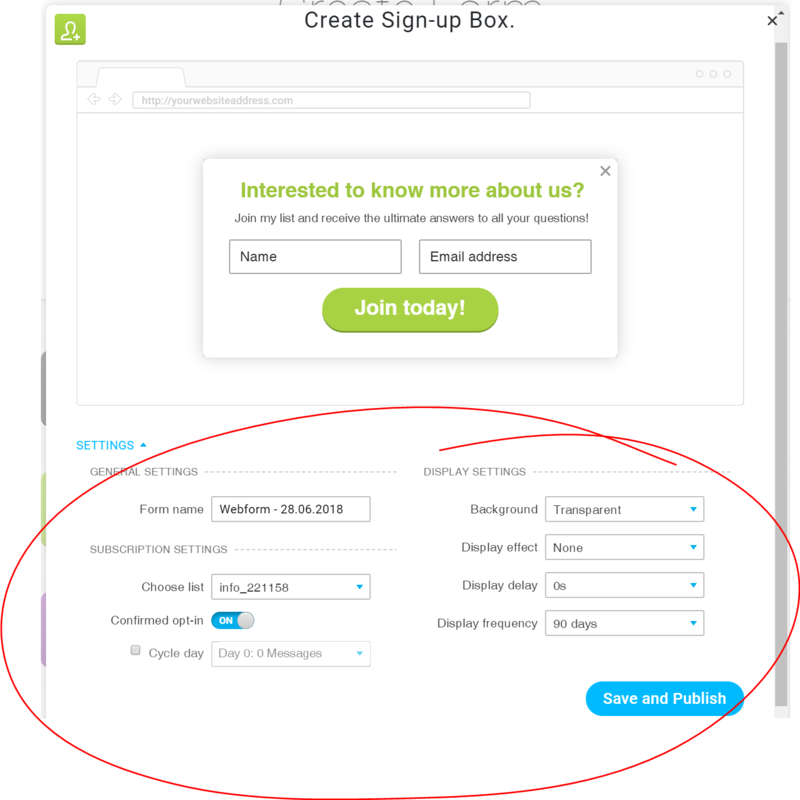 Sign-up Box). Please enter your email address so we can send you a message if problems occur with your integration. Then press the orange button 'FINISH INSTALL'. Do I need to pay for GetResponse? Yes, you can find you email marketing pricing plans here.